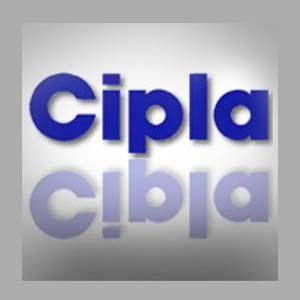 Stock market analyst Rajesh Satpute has maintained 'buy' rating on Cipla Limited stock with a 3-4 day target of Rs 332. According to analyst, the interested investors can buy the stock above Rs 320 with strict stop loss of Rs 314. The stock of the company, on Sep 21, closed at Rs 320.75 on the Bombay Stock Exchange (BSE). The share price has seen a 52-week high of Rs 363 and a low of Rs 257.70 on BSE. Current EPS & P/E ratio stood at 12.49 and 25.74 respectively. Drug major Cipla announced that it could announce its final verdict to purchase equity stake of around 25% in a division of South Africa-based, Cipla Medpro in the next board meet by the coming month. Cipla Medpro, an associate of the Indian company, is the third largest drug manufacturer in the South African market. Moreover, the company said that it would get hold of Meditab Specialties for approximately Rs 133.35 crores. To mark its 75th anniversary, the company declared a dividend of 80 paise per share. Set up by Khwaja Abdul Hamied as The Chemical, Industrial & Pharma Labs in the year 1935, Cipla produces medicines in order to cure cardiovascular problems, arthritis, diabetes, weight control, depressive disorder and many other health problems. Cipla distributes its medicines in over 180 nations all over the world.